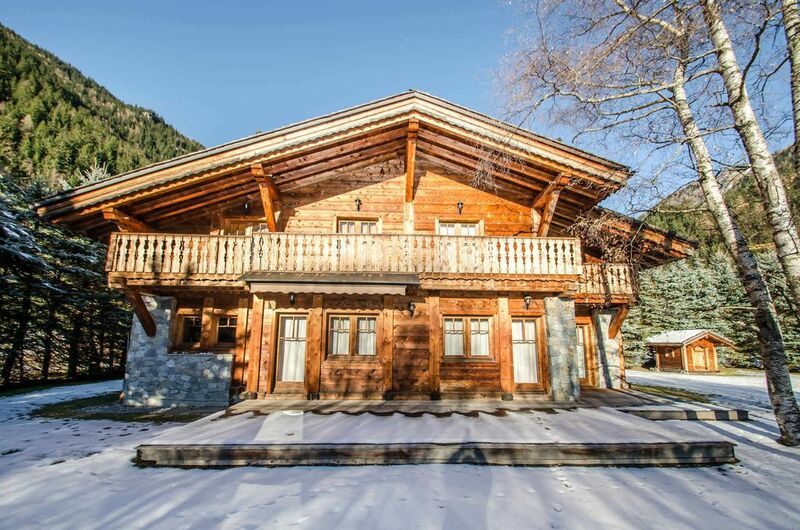 Very nice 210 square meters chalet for 12 people, located in the area of Les Tines, 5 mn driving from the town center of Chamonix. Breathtaking view of the Mont Blanc range. 1 ensuite bedroom with a double bed, bath and toilet. 2 bathrooms, one with bath, the other with shower. Car park, garage, terrace, set of garden furniture.